I'm contemplating an engine change for my Mk2 though not straight away and consequently I'm interested in what people are getting from their cars on the Miles Per Gallon front. So what engine size do you have? What mods and what MPG? My MG Metro engined MK 2 used to average about 42 mpg with very spirited driving. I once got around 70 mpg on a trip to Suffolk following a very steady friend. If I was driving the MK 2 now I imagine I'd be getting 55 ish mpg given how slowly I drive these days, although having said that the Midas might encourage me to go a bit faster than I do in my Micra. 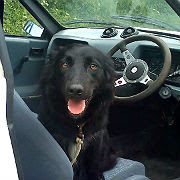 Stuart wrote: My MG Metro engined MK 2 used to average about 42 mpg with very spirited driving. I once got around 70 mpg on a trip to Suffolk following a very steady friend. Hmmm interesting as one of the engines I'm thinking on is indeed the Micra. The engine I've got currently in the Midas is a tweaked 1275 now 1330 I believe. So how many mpgs do you get in that? By the way I usually drive a Diesel Xsara Picasso and have managed an average of 79mpg going up to Oxford from Dorset. As you rightly say though the Midas isn't really for plodding around so I do want something that's quite peppy too. I get around about 47 mpg at best out of my 1275 Micra. Mainly up and down the hills in the Peak District, no motorways and hardly any urban use. But's that's driven relatively slowly. I'd like to think the MK 2 will do 55 mpg + with a Micra engine, hopefully one of us will find out one day. The Micra once pulled an indicated 120 with a slight downhill and tail wind, that was in 4th gear. The last time I did an MPG check (fll tank to brim, drive, fill back upto the brim, divide petrol by distance), I was getting mid 40s. This is with a 1293, 266 cam, gas flowed head, standard dizzy and SU carb, but with a slack timing chain (the valve timing may not have been optimal). Once I get the megasquirt sorting out the sparks I hope to get better MPG. I'd say I get 40ish on a run, I have a 1330 with track day cam thats quite heavily over-fueled for the higher rev range and idles at 900-1000rpm not been dyno'd but it should be 80-90bhp (certainly feels that way). Granted it gets driven fairly hard everywhere I go, and in the city feels more like less than 30mpg the amount of fuel I have to put in it. I will be driving to Oxford this weekend so I will try and make a note then, I don't have a working speedo so will have to go off google maps! A micra engine would be a good fit for the midas, I have no idea of the tune-ability though....I'm sure there is plenty available! Cheap donor car and micra has been done before.